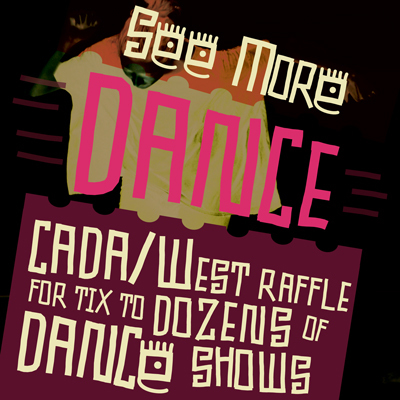 This month's edition features our See More Dance Raffle; a profile of the CDA's National Conference by Jessica Wadsworth; and our monthly dance citizenship challenge. We’re offering a chance to win 1 of 3 Prize Packs that showcase the strength of professional dance in BC. A value of more than $2100! 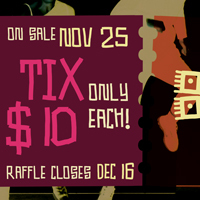 Click here to see the fantastic prizes provided by numerous BC dance organizations. 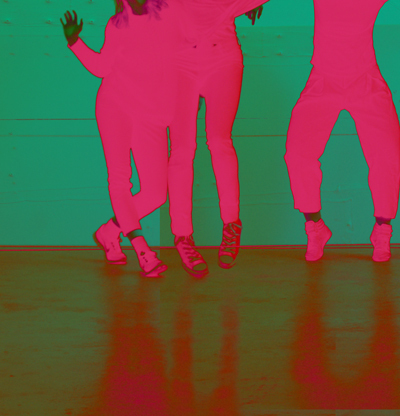 See More Dance in 2014! I was pleased to attend the 2013 AGM and Moving Strategies Conference of the Canadian Dance Assembly. As the new Program Manager at CADA/West, this was an opportunity for me to meet many people who are working towards a better, brighter future for working dance artists. I met the lovely staff from the CDA, including the new Executive Director Kate Cornell. The connection between us as 'newbies' was strong. She also seems like the right kind of person to harness the potential of the CDA to be a more visible and relevant organization. In fact, that was the major impression I was left with. So, I feel quite positive. I learned that the CDA is undergoing a strategic planning process from 2014–2017. Hearing from Jane Marsland, the consultant hired to undertake this initiative, I felt she took a balanced view. She seemed to understand that the CDA was operated by people with a passion for the CDA's vision, however, she also stated that major shifts need to occur. I remember her saying "instead of thinking what we can get out of CDA membership, we need to start thinking about what we can do together that we can't do alone". This jives with my own impressions that the CDA has limited resources to carry out its mission and yet it's vital that we have a national voice for dance advocacy in this country if we want to ensure that funds and policies are there for dance in the future. I feel the CDA can and should continue with political advocacy at the federal level, should continue to advocate for the best possible health benefit plan available (see Actra Fraternal Benefit Society's upcoming plans) and should seek partnership with high profile individuals who can act as ambassadors for dance, in order to draw mainstream and media attention. Lastly, the CDA took a fair bit of time to think about pluralism in this conference and I know that we are going to be learning more from them on this topic in the future. I think CADA/West can get behind all of that. Please take a moment to complete the CDA's Membership Survey. 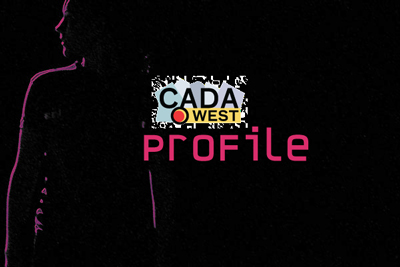 The CDA membership you hold as CADA/West members is as valuable as you make it. Please ensure that your opinions are counted when they go into their strategic plans! Complete the CDA's Membership Survey. I am so grateful for your joint membership in the CDA/ACD. I am the CDA’s new Executive Director, Kate Cornell. I have been working in the local, provincial and national dance community as a writer and arts manager since 1992. I truly want to make the CDA the voice of Canadian dance, but in order to do that I have to get the whole dance community on board. I want to make some changes at the CDA, but I want to make these after I have heard from the members. Please take 5 minutes and fill out this membership survey honestly and I will use the information to build a better CDA.